The study provided Class I evidence that the ALSDI can help the confirmation and diagnosis of ALS and its mimicking conditions at the earliest stages of the disease, when therapeutic efforts are most efficacious. The prospective, multicenter study ultimately found that the ALSDI ≥4, which includes clinical phenotyping, conventional peripheral neurophysiology, and transcranial magnetic stimulation (TMS) measures, dependably distinguished ALS from other neuromuscular disorders. In the training cohort (n = 316), it did so with 81.6% sensitivity, 89.6% specificity, and 83.5% diagnostic accuracy and in the test cohort (n = 91) with 83.3% sensitivity, 84% specificity, and 83.5% diagnostic accuracy. The reference standard was the Awaji criteria, which was applied to all patients at recruitment. 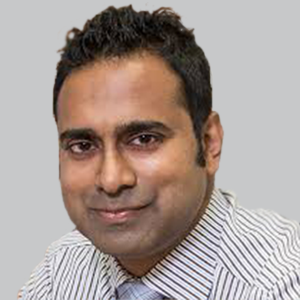 “This study provides Class I evidence that for patients with suspected ALS, the ALSDI distinguished ALS from neuromuscular mimicking disorders,” lead author Nimeshan Geevasinga, MBBS, MMEd, PhD, a neurologist, neurophysiologist and clinical lecturer at the University of Sydney, and colleagues wrote. The investigators highlighted that one of the unmet needs in the management of patients with ALS and recruitment into clinical trials is the lack of an ability to establish a conclusive diagnosis of ALS at an early stage of the disease process. “In the absence of a pathognomonic test, the diagnosis of ALS remains reliant on [the] identification of concomitant [upper motor neuron (UMN)] and [lower motor neuron (LMN)] dysfunction, along with evidence of disease progression,” they detailed. According to the results of the study, the ALSDI ≥4 exhibited a specificity of 84%, while the ALSDI ≥5 had a specificity of 96%, leading Geevasinga and colleagues to suggest that ALSDI scores <4 would be less suitable for use in clinical trials. The ALSDI’s diagnostic utility was also confirmed in those who were Awaji negative at recruitment (n = 133). The index showed 79.2% sensitivity, 91.8% specificity, and 87.2% accuracy (diagnostic odds ratio [OR], 42.3) compared to 82.5%, 70.6%, 11.3, and 81.8%, respectively, in patients who were Awaji positive (n = 274). This ultimately resulted in the identification of an extra 38 patients with ALS at the risk of misclassifying 7 patients who were non-ALS as ALS in the Awaji negative cohort. The test’s diagnostic utility was also established in those who were predominately of the LMN phenotype. Indeed, the ALSDI had comparable sensitivity in patients expressing a paucity of UMN signs (UMN score <3) and in those with prominent UMN signs (UMN ≥3). The ALSDI displayed a sensitivity of 79.4%, specificity of 92.8%, and an accuracy of 86.4% in the UMN <3 group and 82.3%, 70.6%, and 81.3%, respectively, in the UMN ≥3 group. Although, Lacomis and Gooch noted that as the ability to more easily perform UMN assessment improves and is spread more widely, systems such as the ALSDI “will have a greater role” in the confirmation and diagnosis of ALS and its mimicking conditions at the earliest stages of the disease and when therapeutic efforts are most efficacious. “Ultimately, this approach may enable increased recruitment into therapeutic trials, at an earlier stage of the disease process, when neuroprotective agents may be most efficacious,” Geevasinga et al. concluded. 1. Geevasinga N, Howells J, Menon P, et al. Amyotrophic lateral sclerosis diagnostic index. Neurology. 2019;92:e536-e547. doi:10.1212/WNL.0000000000006876. 2. Lacomis D, Gooch C. Upper motor neuron assessment and early diagnosis in ALS: Getting it right the first time. Neurology. 2019;92:1-2. doi:10.1212/WNL.0000000000006867.